Help some furry critters wake up their sleepy king in this upcoming puzzler. Housemarque, the talented development studio behind Dead Nation and Super Stardust HD, will enter the puzzle realm this fall with Furmins, a cool looking video game for iPhone and iPad. This interesting title takes place within a fictional land full of furmins, a happy and by the looks of it, fuzzy race of creatures that need water for both survival to care for their flower plantations. This proves difficult after their large King goes to sleep and accidentally falls into the river, creating a makeshift dam that threatens the furmins' way of life. Turns out, their only shot at survival involves traveling across the kingdom to wake him up, and this is where you come in. 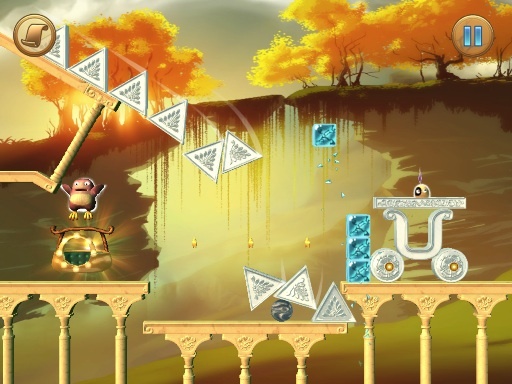 Each of the game's 40 plus levels (across four worlds) challenge you to create chain reactions that result in the furmins moving from a starting point to a basket strategically placed in each stage. You'll do this by carefully manipulating different objects to help guide the furmins to the exit. On the positive side, each puzzle has multiple solutions as well as real world physics that allow the critters to slide and bounce all over the place. It should be a fun time, considering Housemarque's pedigree and the commitment to release additional levels after the game's release. Speaking of which, the app will come in two different versions. 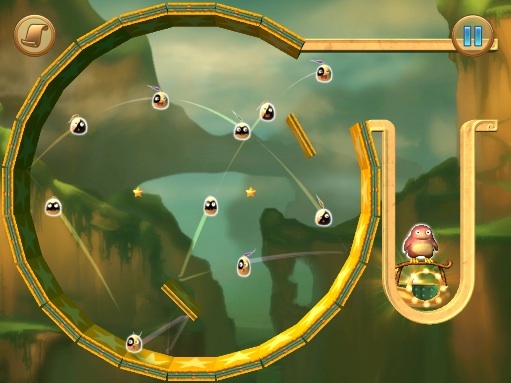 The freemium edition features universal support for iPhone and iPad, along with one game world containing 12 levels with the option to buy more. The Premium game, meanwhile, will be split into two SKUs. Housemarque will release a cheaper iPhone/iPod Touch version, along with a more expensive universal Furmins that'll work across all devices. With a charming graphical design and a variety of puzzles, Furmins could be another fine addition to the App Store. We'll have more info leading up to its Autumn debut.